Wootz! I completed my first ever Duathlon @ Powerman Asia Duathlon Campionships 2017 in Putrajaya on February, 5th early. Well, this year I decided to be more adventurous and try some new sports or fitness activities. I signed up for the short relay duathlon run-bike-run; which is 5km run, 30km cycle and 5 km run. This Sunday morning the highly anticipated Powerman Asia Duathlon Championships – Malaysia 2017 started with over 3,300 registered duathletes taking on the run-bike-run course across Putrajaya. I did the running (start and end) and Irfan cycled 30km. It was drizzling when we started at 7am and then the rain stopped around 830am. It was fun experience, perhaps next year we should step up the challenge by doing classic relay. Thomas Bruins from The Netherlands and Annamaria Eberhardt-Halas from Hungary that completed the race in 02:33:57 and 02:52:05 for the male and female elite respectively. This will be Bruins’ third win in the Powerman series this year after securing his title in the inaugural Powerman Thailand and Powerman Indonesia. 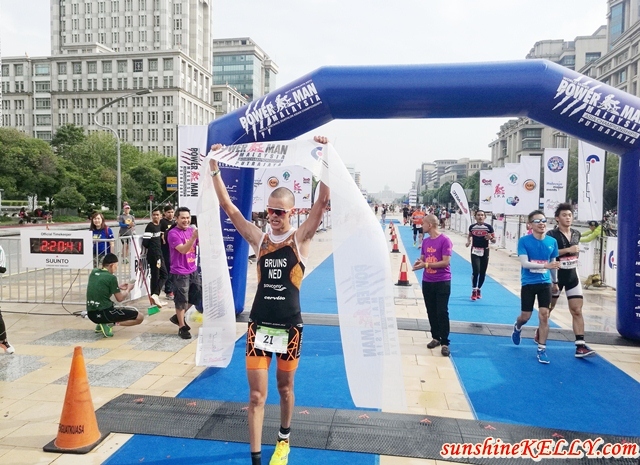 Despite landing fifth in the overall elite category, Malaysian Jason Loh secured a second runner-up in the 2017 Putrajaya ASTC Powerman Middle Distance Duathlon Asian Championships male category with a total time of 02:52:19. The Asia Championship race would return to Putrajaya on Saturday, and Sunday, 3 and 4 March 2018. With the inclusion of Powerkids to its agenda, international participants have more reasons to travel with their family members, and not as a sole participant. Uncle Zuan, come out more often for outdoor activities. Start small and progress from there. All the best! Wow, so interesting! next time my friends and I will join the Powerman Asia Duathlon Championships!